Electric borehole pump is inefficient on power to satisfy Bowood golf course’s water requirement. Zero energy pump delivers surface water long distances using no electricity or fuel. Zero energy pump running costs – £20 a year. Bowood’s savings – electricity saving of £1200 a year. Plus substantial savings on mains water during dry periods. The pump that uses no fuel! A money saving solution for golf courses. The zero energy pump system means we can turn off our 1.1kw electric borehole supply for most of the year, saving energy, cutting carbon and sustainability using excess surface water. Water was needed to top up the lake in front of the club house and a storage lagoon used for irrigation. 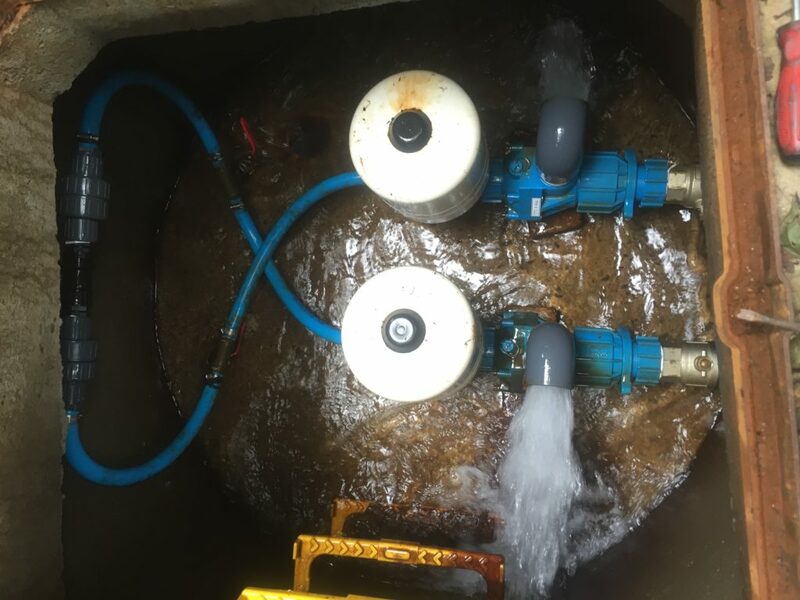 The golf course had previously pumped from a borehole using 1.1KW electric pump, but at times this had to be run for 20 hours a day. 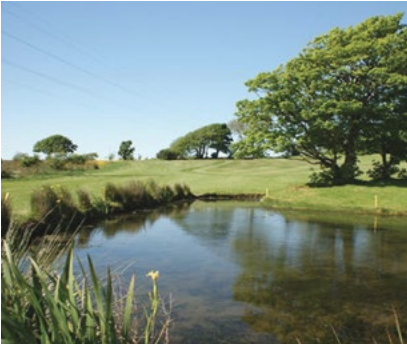 The water was also used for irrigating the golf course from the storage lagoon but in dry periods it was insufficient so mains water had to be used. By installing two zero energy pumps they solved the water delivery problem and saved time on maintenance and saved considerable electricity costs. The zero energy pumps deliver free water, helping top up the storage lagoon and reducing the need to use mains water with the added benefit of substantial saving on mains water costs, especially in dry periods. Agrismart offer free site surveys for your golf course to assess the best water management solution for your golf course. Provide a tailored system that provides a Return on Investment in under 36 months. By being able to provide complete tailored water solutions incorporating, zero energy and low energy pumping, rain water harvesting, storage and water treatment, we are able to design solutions based on individual requirements to allow us to deliver our goals. Contact us no to book your no obligation site survey!